If being in one of the coldest places in the US isn’t extreme enough, the contents of this beer may very well redefine your commitment to the pursuit of hops. Rockslide IPA is brewed in the ‘West Coast’ style with aggressive amounts of American hops such as Amarillo, Centennial and Summit hops. You are greeted with a full frontal assault of citrus/grapefruit/pine hop character, followed up with malt to balance the mouth feel. This beer is all about hops. 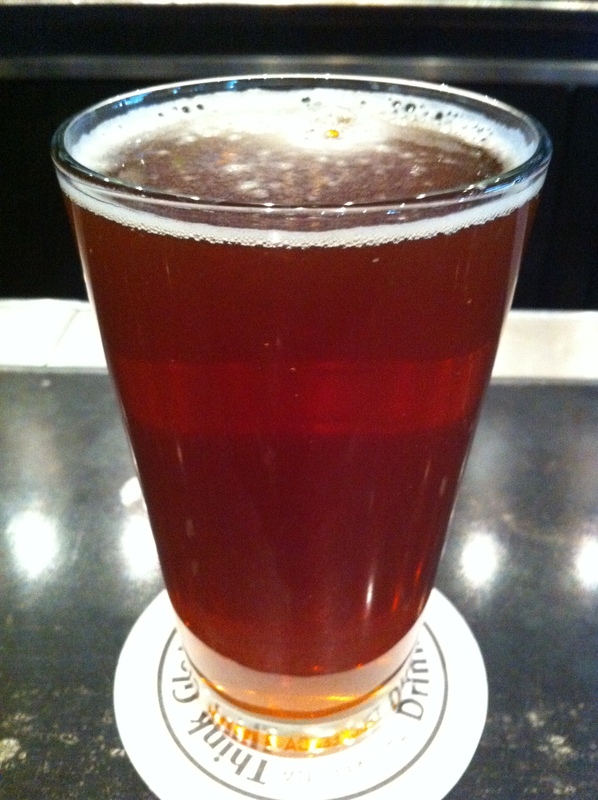 Rockslide pours a deep amber color, darker than most standard IPAs. Head wasn’t much more than some bubbles and patches of foam (kinda looked like the surface of a marsh). Lacing was typical for an IPA. I could smell this beer when it was set down in front of me. Big notes of cedar and pine hit my nostrils first, which I thought was quite fitting considering the setting. Hints of cigar and sweet tea were also present, but nowhere near as big as the hops. The taste starts with a big blast of sweet pine sap. Then notes of oak, leather, cedar, and a touch of lemony sour came through. This is a very big beer, like Double IPA or American Strong Ale big. As it warmed up a more noticeable citrus component appeared toward the end. Letting the beer sit for a few minutes helped meld the flavors together and make it more palatable and easy drinking. Mouthfeel was medium and sticky icky icky. However, I was surprised that there wasn’t much lacing left around after the fact. I should have known from the get go that this was a big beer, but I had to find out the “hard” way. The initial shock of expecting an IPA and getting a Double IPA/Strong Ale flavor threw me for a loop, but as it warmed up I started to enjoy it more and realized how tasty it actually was. Rockslide is a big, but good IPA.